Well... we are now Great Grandparents!! OMG... I'm so excited to have lived long enough to have great grand babies. 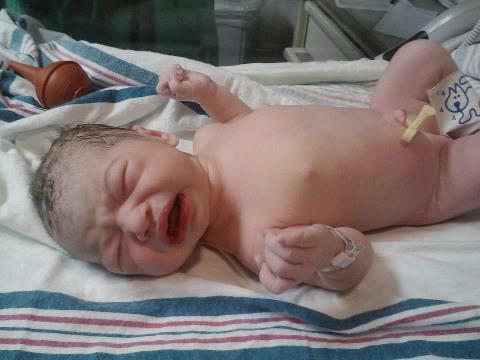 Please meet the newest member of our wonderful family - Aubree Payton. She was born last night weighing 8.1 oz and was 20 1/2" long! She's only a few minutes old in this photo! Grandpa and I laughed... we think all babies look alike as soon as they are born! Then in a matter of hours they change into their own cute little personalities. Heather and I agree... Aubree looks like Elizibeth (her mommy)... She's going to have the same pretty lips and those beautiful eye brows! We get to hold her today!!! I can't wait!! Here's some cool things for you today!! 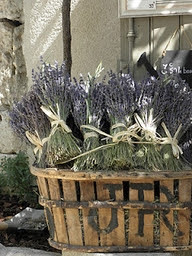 I love lavender...don't you? I think it's the sweetest flower... here's a HUGE basket full of bundles... I sure wish I had several of these.. PLUS... I want the basket too! Then... look how the cookie artist has designed this wonder piece of art! This is a REAL cookie. 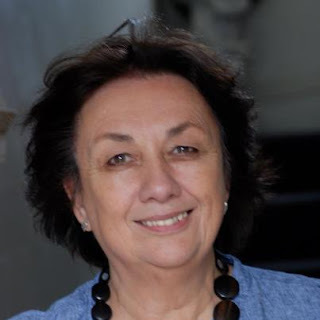 You know my friend - Paula Barnes? Remember... Bonnie Blue Quilts/Red Crinoline Quilts... well... her daughter makes gorgeous cookies (I've blogged about her before - her site is on my blog). She could make these in a heartbeat! She's so good and a true artist! Then...Look at me... I'm peaking around the door at you... I'm not quite sure if I should be afraid of you or not....bbbbaaaaaaaaaaa !!! My fur is a bit of a mess...wouldn't you say? Such a sweet, sweet face! And...here I am again in a sweet cookie!!! 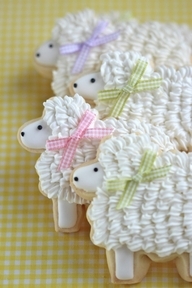 Such patience these people have to make these cookies... NOT ME!! I'll write a check for this type of artwork! hahahahahaha! Remember Jill - she worked at OGC for me... up front??? 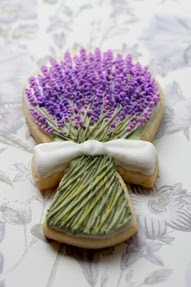 Well, she is an awesome cookie artist too! Remember when she used to sell her cookies. My customers loved them! Hey Jill... I MISS YOUR COOKIES!!! 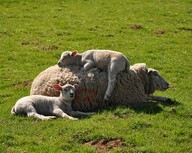 And... here is what I would call a relaxed family! What a hoot!!! The little one on top... they must have thought the ground was a bit to hard for napping... I'll just crawl on top of mom...she's nice and "fluffy" !! Then I saw this and thought...what a super - great idea! These are the cotton facial cleaners that you can buy in bags... ever use them? Well... they've coated these in wax and use them for "fire starters"! How clever is that? Save all of your OLD icky candles...where there isn't much left.. put them all in an old pan together.. melt them - remove any old wicks. 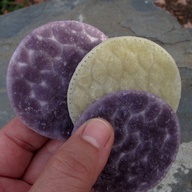 Then dip the cotton facial circles into the was (with tongs) and cool on aluminum foil. When dry... package them in Ziploc bags or a tin with a lid. You're good to go. Great to take camping with you! 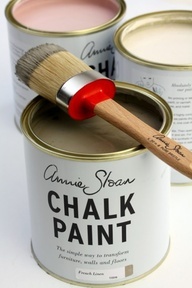 For some reason...this paint - Annie Sloan - has come up over and over lately... in my chat on Facebook, on Pinterest - I must try some of this. I think there is a shop in Ponte Vedra that sells it. It's the old fashioned chalk looking paint and you are supposed to be able to use it on furniture... best part... you have to do NO sanding and NO cleaning to the piece of furniture before using the paint. Now...that's what I call pretty darn wonderful!! Have any of you used this before? 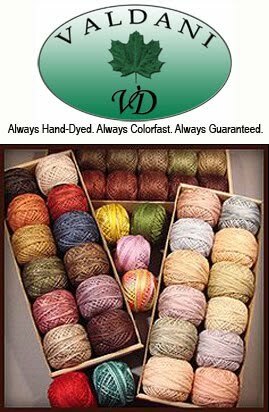 I thought I would go on-line and see if they have a color chart. brb...let me go look right now! 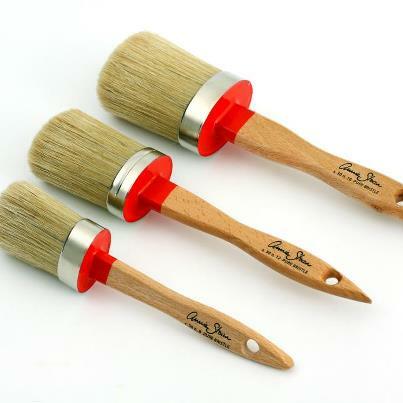 And these are the brushes she recommends we use. She even uses her paints on fabric and then applies a wax...what a fun technique... I'm going to read more about it! And last but not least.... a sweet picture of a new baby... I need to see if Great Aunt Heather can get little Aubree's hands like this for a picture! What do you think Aunt Heather??? Have a great "hump day" and get some sewing done.... I'm going to finish cutting out my quilt today! Have I told you how much I DO NOT enjoy cutting out quilts???? NO!!! NOT my favorite part of the process!